One of the many difficulties nursing mother’s face is the problem of carrying their babies about, especially when they’ve got more than one young child to look after at the same time. To tackle this problem, different companies started making baby carriers. Till date, no company has made one as sturdy and as cool as the Baby Jogger City Select. 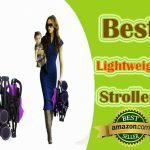 This Baby Jogger City Select Review article will highlight the reasons why this product has been a best-seller in recent times. Who needs to read this Baby Jogger City Select Review? 1 Who needs to read this Baby Jogger City Select Review? 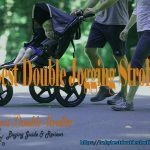 3.5 Don’t forget to share this Baby Jogger City Select review article if you found it helpful. Any couple who needs a two/three in one stroller. Couples who would like to carry two kids at the same time on a stroller. 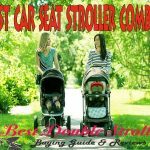 Mothers who would love a convertible and easy to use baby stroller. Couples who simply want the best for their kids and nothing less. Here are some of the amazing features of the stroller. It has 16 different configurations. The City Select provides a variety of configuration options when it is used as a single or double stroller. Extra add-ons such as the glider board can help you carry one more child. The image below clearly shows the 16 different configurations and what you need to get those configurations on your Baby Jogger City Select. Different seat settings help you chose which direction your child would face. Feel free to choose from the front facing, sibling facing or the parent facing options. If you happen to own the Baby Jogger City Select Lux, there are 20 different configurations at your disposal. Simply put, it grows with your kids till they outgrow it. A bassinet and a car seat. It is important to note that children with weights of up to 45lbs are beyond the recommended limit. Magnetic Clasp Covered Peek Window. While in motion, you might be tempted to see what your child is doing. There’s no need to stop, instead, simply flip the magnetic clasp cover off the peek-a-boo window and take a look. They are adorable, aren’t they? The downsides of the window, however, is that it is small compared to the windows available on other Baby Jogger products like the Baby Jogger City Mini. Providing a UV+ 50 sun protection on the City Select stroller is the large 3-part fold adjustable canopy. The canopy effectively casts a dark cool shade over your child, keeping the sun’s rays away from their tender bodies. The entire body of the stroller is made with easy to clean fabrics that sparkle after each wash. Need I say that they can be machine washed? Baby Jogger, however, advises that the fabrics be air dried instead of using a dryer. Adjustable Handle Bars with hand operated Brakes + Adjustable foot rest for the baby! You don’t need to read any how-to guides before you can fold the Baby Jogger City Select baby Stroller. As with all strollers from Baby Joggers, it folds pretty nicely. However, it occupies quite a sizeable amount of space. To fold it, there should be just one seat on, and the seat must be in front facing direction. You can as well take out all the seats and fold it comfortably. Baby Jogger provided more than enough storage space for the City Select. Beneath the seats is a huge basket that can hold any item up to 25 lbs and is easily accessible from any angle. More so, there are zippers on either sides of the basket if you need extra space. At the back of the seat is a storage pocket that comes in handy when you’d like to keep a wet wipe or keys. Equipped with nice state of the art wheels, moving the stroller is as easy as ABC. There are 8-inch wheels in the front and 12 inches bigger “forever air” tires at the rear. Unfortunately, it would be quite difficult to push it with just one hand, except, of course, you have the strength of American Hollywood actor, The Rock. A lock option for the front wheels is available so you don’t face any resistance in pushing the stroller in rough terrains. The fabric used in making it is machine washable. The stroller is easy to use and requires little or no prior knowledge. 16 different configuration options are provided and many of them are adjustable – this means more comfort for your child wherever you go. The tires have shock absorbers in it to ensure maximum comfort for your baby when you’re on rough terrain. Here’s a thing or two you will not like about the Baby Jogger City Select stroller. The stroller is a tad heavier than its counterparts, weighing 28 lbs as a single stroller and 34 lbs as a double stroller. The City Select occupies a great deal of space lengthwise when it is folded. As a matter of fact, the length increases when it is folded with one of the seats still attached to the frame. The Peek-a-boo windows are quite small. The extra accessories that make the stroller worth having are quite expensive. 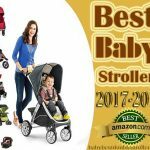 The Baby Jogger City Select is the best convertible stroller in the market and would remain so, if the company addresses its cons. It’s the perfect choice for mothers with twins, or babies a year apart. 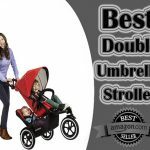 Don’t forget to share this Baby Jogger City Select review article if you found it helpful.